Introducing our Comprehensive Fall Prevention Program! Our goal is to protect your independence, promote quality of life, and prevent falls. Check out this video to learn more about what sets our program apart from other Fall Prevention Programs available. Click Fall Prevention Program for more information. We can help with all your foot and ankle issues! 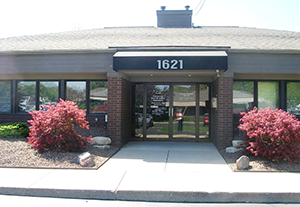 We welcome you as a patient to our podiatry practice in Wyoming, Michigan. We are happy that you have chosen us for your foot and ankle health care provider. We treat all conditions from injuries, bunions, heel pain, sprains, fractures, warts, diabetes foot problems, senior foot care as well as custom made orthotics, and diabetic therapeutic shoes and more. We are also able to take x-rays onsite during your visit for a more complete evaluation. Dr. James DeWitt and his staff are dedicated to providing our patients with the finest medical, surgical and rehabilitative treatments for the foot and ankle. We take pride in providing you an individualized treatment plan with a rewarding office experience in a small and comfortable office setting. Our goal is to provide the highest quality of specialized care for problems of the foot and ankle. As a podiatrist and surgeon, we recognize that patients come to us because of the limitations placed on them due to foot or ankle pain. We want to remove these limitations, to the greatest extent possible, giving patients a way to stay active and enjoy life. Informed patients are better prepared to make decisions regarding their health and well being. That is why we encourage you to review the Patient Education on this website that pertain to you. Please bring any unanswered questions with you to your office visit. Whatever your foot and ankle trouble, we will work to find the answers that will comfort you and bring you relief.